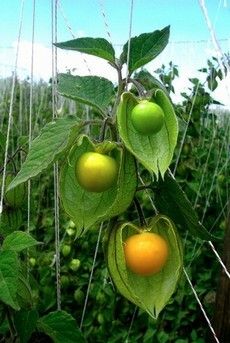 The Inca Berry is a smooth berry, like a small yellow tomato that fed the ancient Inca born from a shrub typical of Peru. The fruit is round with a smooth variation of color between yellow and orange and the taste can be described as that of a sweet tomato with a hint of pineapple. Is rich in iron, vitamin C, fiber, antioxidants, melatonin. Completely gluten free, in our snacks is proposed in its entirety reminding the aspect of the candied fruit. The sour taste of the Berry joins the dark chocolate releasing a feeling of freshness, recalling citrus fruits, and crunchiness given by seeds. The sweetness of the chocolate milk is enhanced by the soft notes of the flavor of the Inca Berry recalling pineapple and vanilla, appending harsher notes. The freshness of citrus is further enhanced in the sugarless snack fudge where perception is a break full of healthy vitamins. Certifictions: Fairtrade, Gluten Free, Vegan OK. The right variation on the theme, because the milk sugar snack turns sweeter and leaves a pleasant and fulfilling feeling.